Lightweight and portable - Includes Free Backpack. This telescope was designed with traveling in mind while offering exceptional value. The Celestron Travel Scope 70 is made of the highest quality materials to ensure stability and durability. All this adds up to a telescope that gives you a lifetime of pleasure with a minimal amount of maintenance. 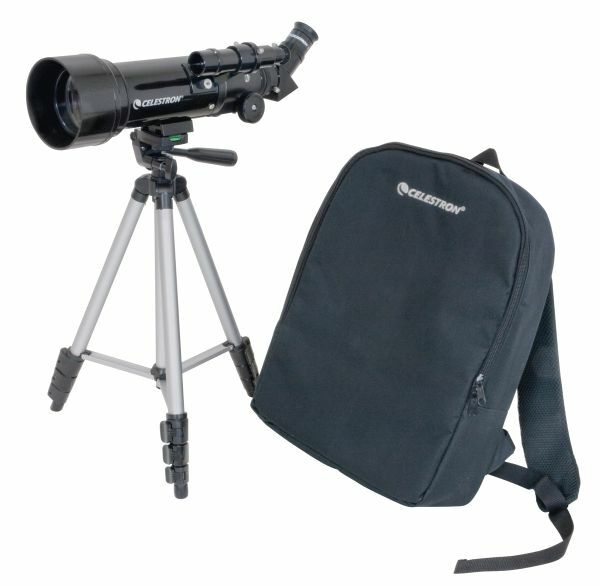 Featuring a compact and portable design with ample optical performance, the Travel Scope is ideal for terrestrial as well as casual astronomical observation.